Preheat oven to 350 degrees F. In the bowl of your mixer, combine cake mix, eggs, butter and milk. Beat for 2 minutes until smooth. Fill 24 cupcake liners 2/3 full with batter and bake 18-20 minutes. Let cool. Set aside. In the bowl of an electric mixer, combine ingredients for peanut butter filling until smooth and creamy. Place filling into a pastry bag if using. Set aside. Using a small paring knife, cut out the centers of cupcakes. Alternately, insert and twist the wide end of a large metal piping tip to remove centers. 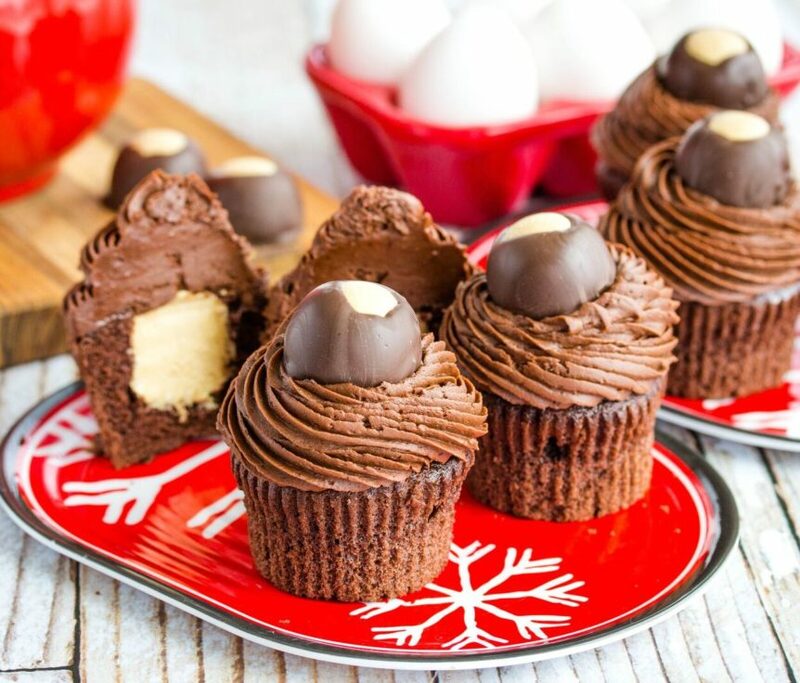 Fill the cupcakes with the peanut butter filling. Set aside. Prepare the chocolate frosting by combining butter and cocoa powder. Slowly add powdered sugar then cream and vanilla. Use more or less cream as needed to meet desired consistency. 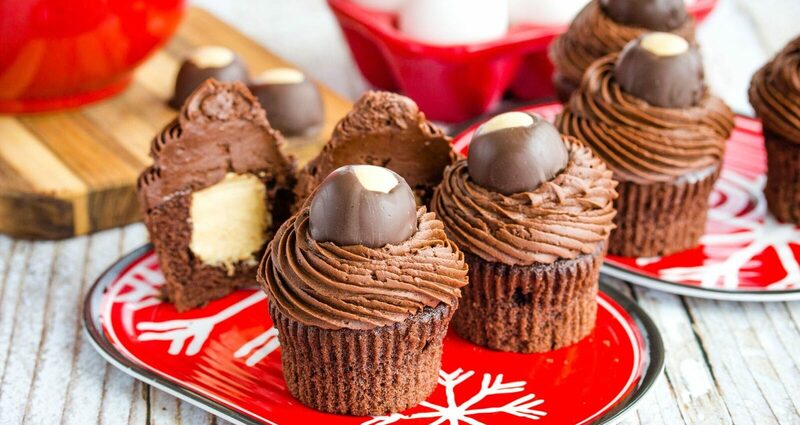 Frost filled cupcakes then top with buckeye candy if desired.